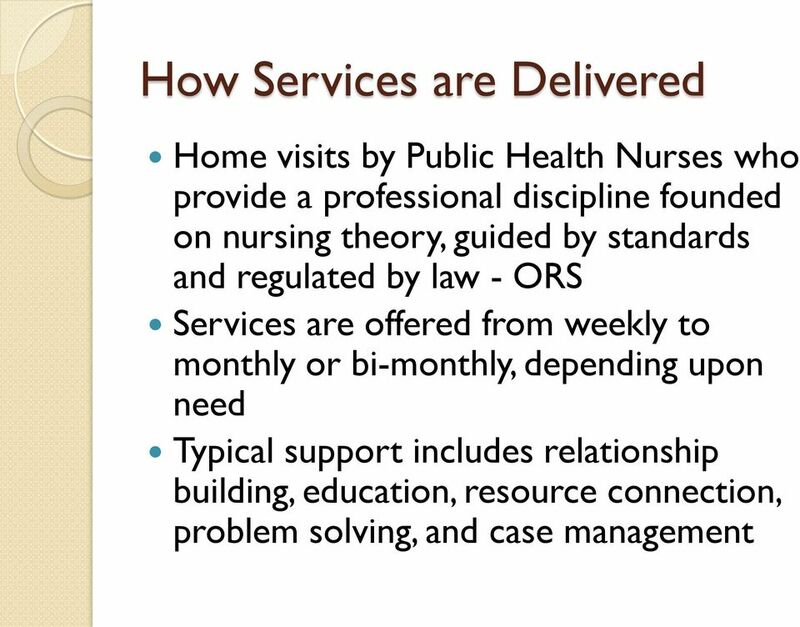 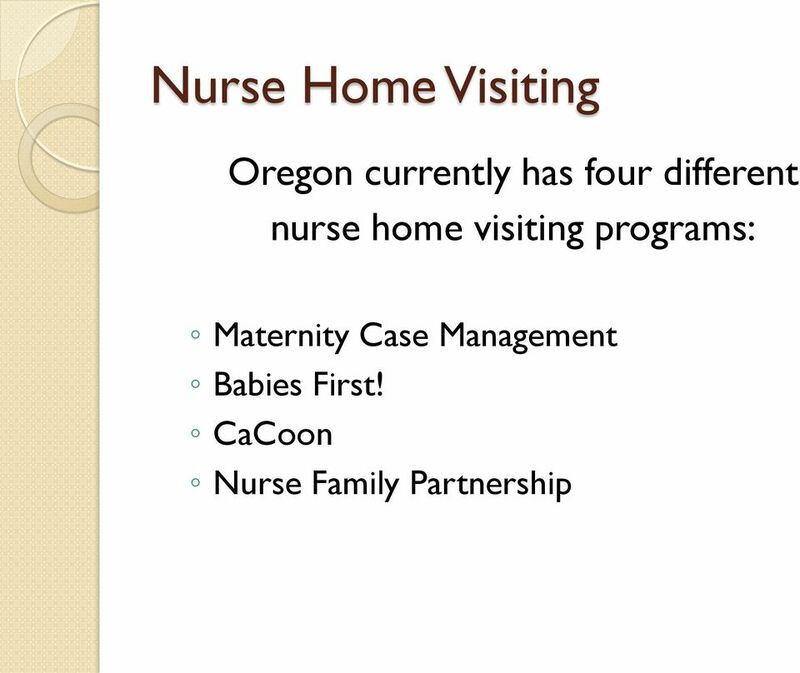 Download "Public Health Nurse Home Visiting Programs. 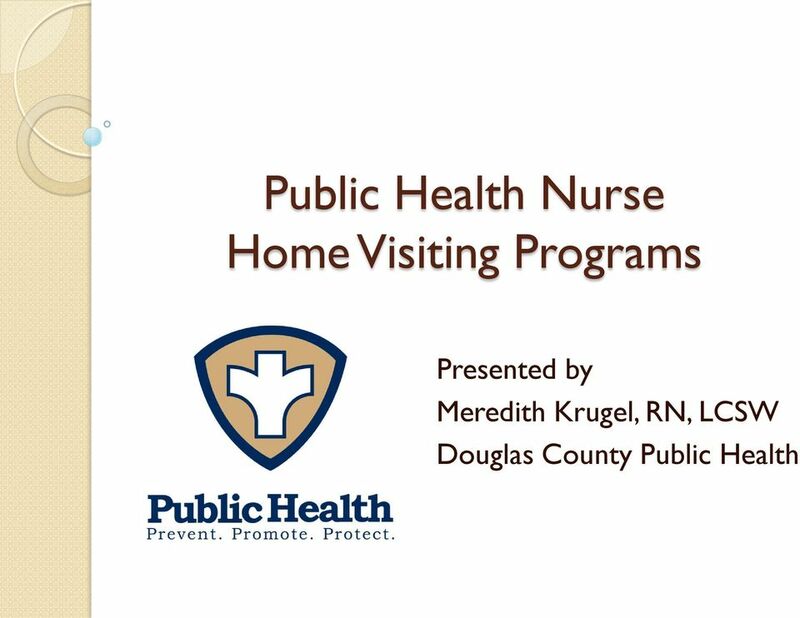 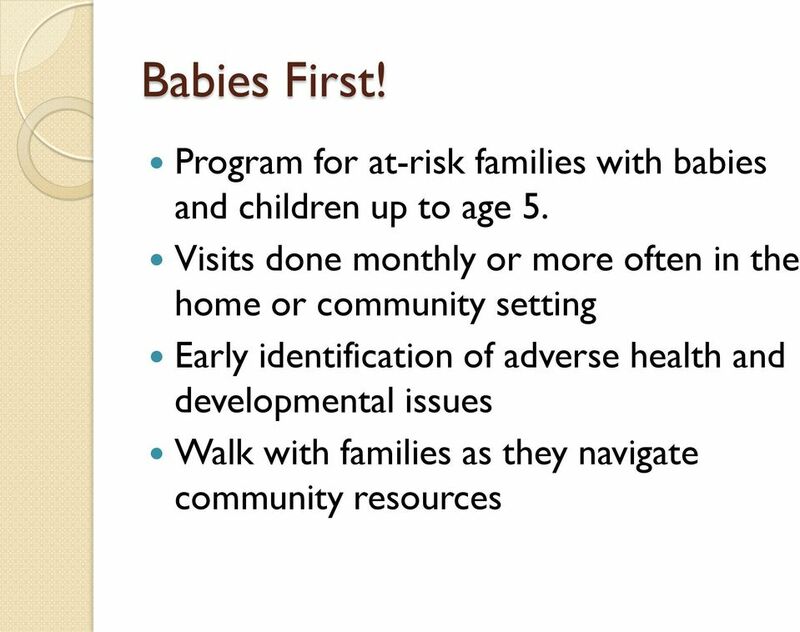 Presented by Meredith Krugel, RN, LCSW Douglas County Public Health"
15 NFP Continued Women enrolled early in pregnancy (first home visit by 28 weeks gestation), and are served until the child turns 2. 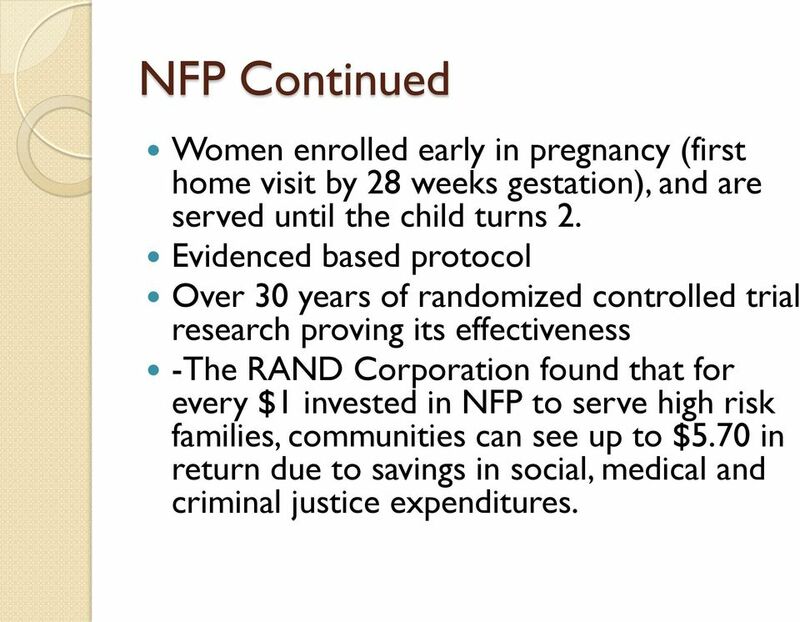 Evidenced based protocol Over 30 years of randomized controlled trial research proving its effectiveness -The RAND Corporation found that for every $1 invested in NFP to serve high risk families, communities can see up to $5.70 in return due to savings in social, medical and criminal justice expenditures. 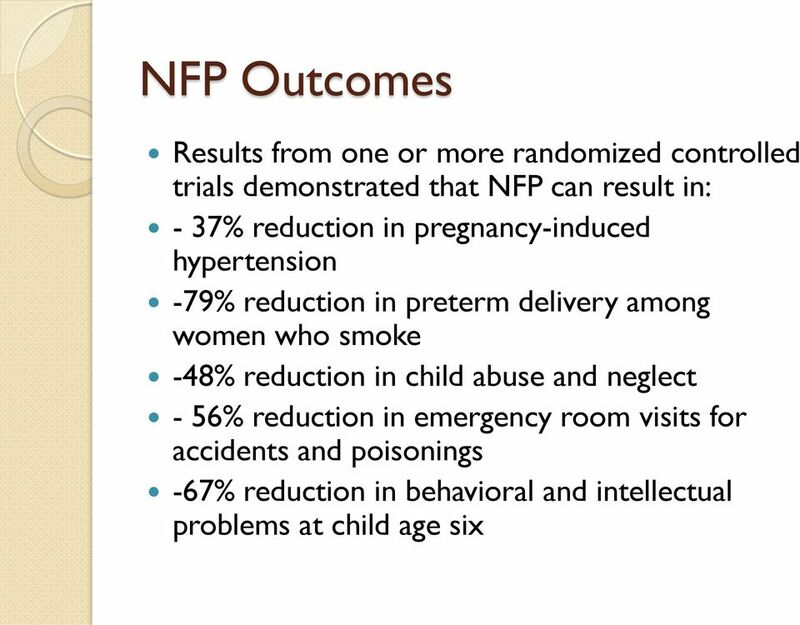 Healthy People 2020: Who s Leading the Leading Health Indicators? 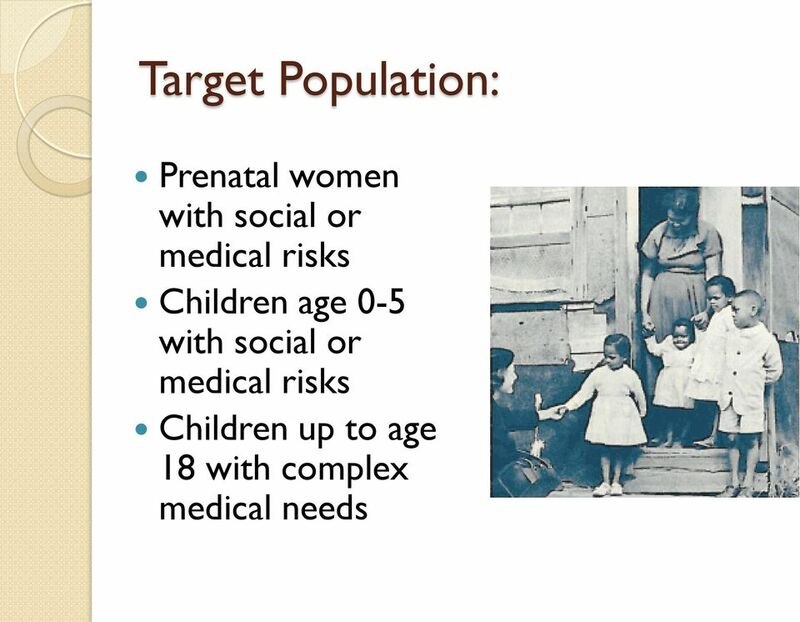 Healthy People 2020: Who s Leading the Leading Health Indicators? 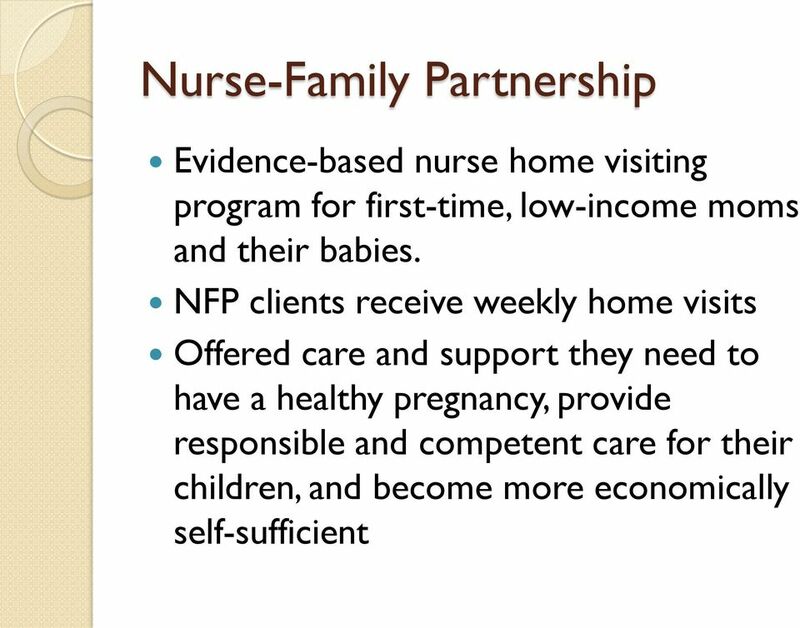 Don Wright, MD, MPH Deputy Assistant Secretary for Disease Prevention and Health Promotion Who s Leading the Leading Health Indicators? 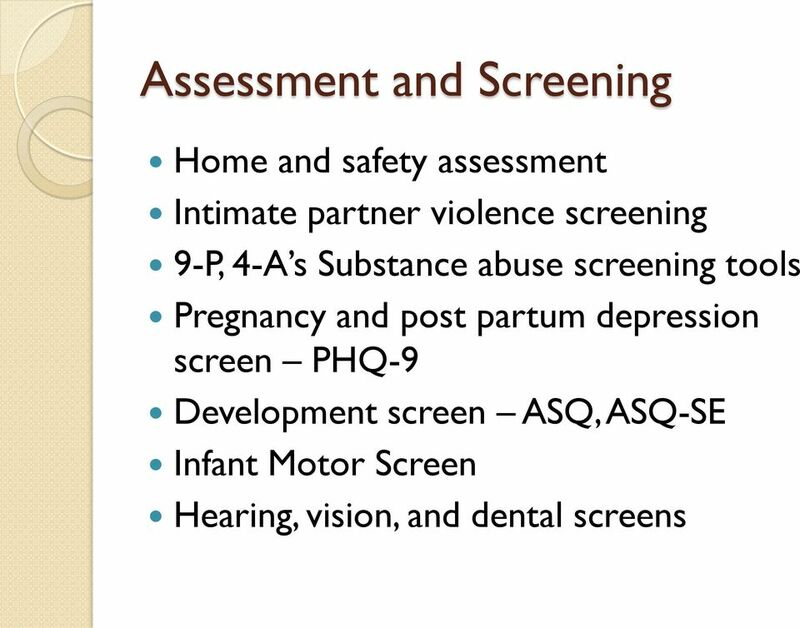 Su p p o r t i n g Pa r e n t s a n d Ch i l d Development Through Home Visiting Any new parent will likely tell you that parenting is the most rewarding and the most difficult thing they have ever done. 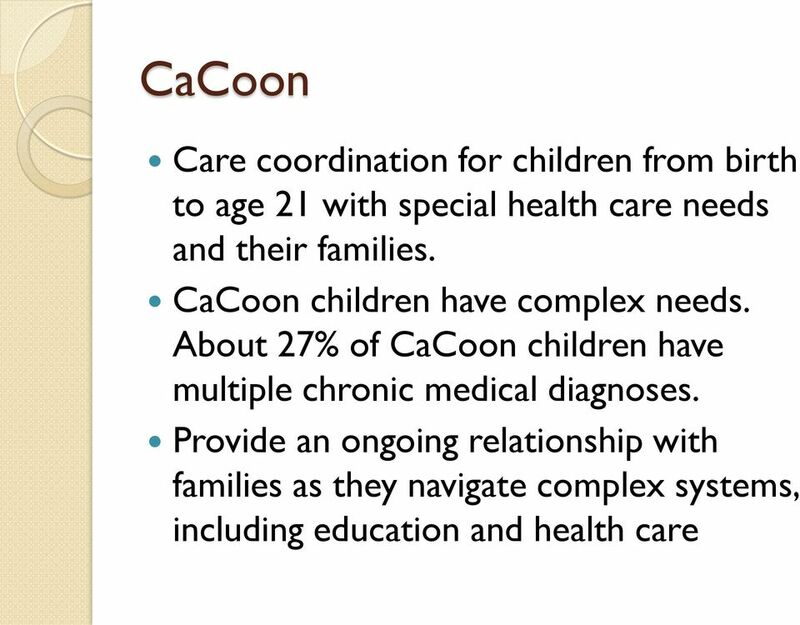 MEDIA KIT. 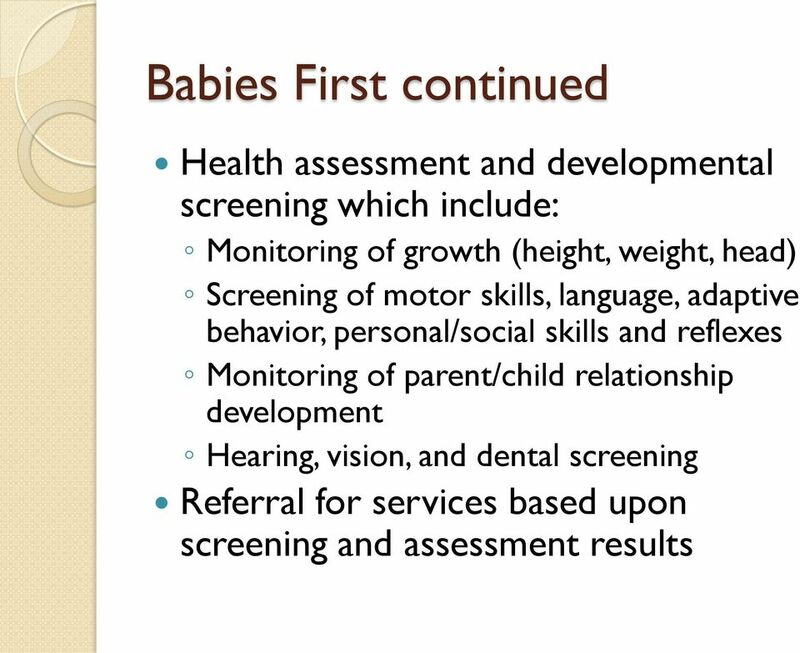 Our Mission: We are here to improve the health and well-being of pregnant women, children and families in Hillsborough County. 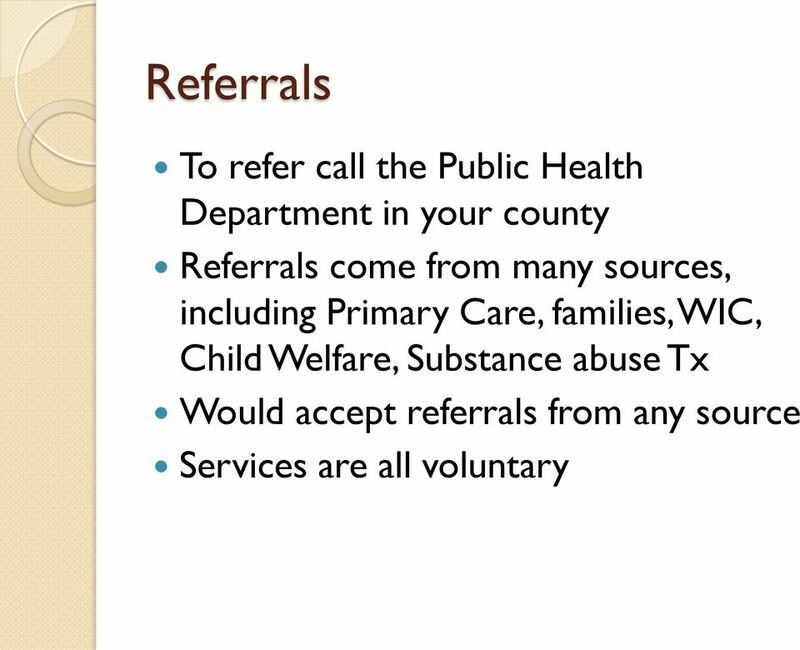 PREVENTION OF PRENATAL DRUG ABUSE PROBLEM What is the problem for Dallas County? 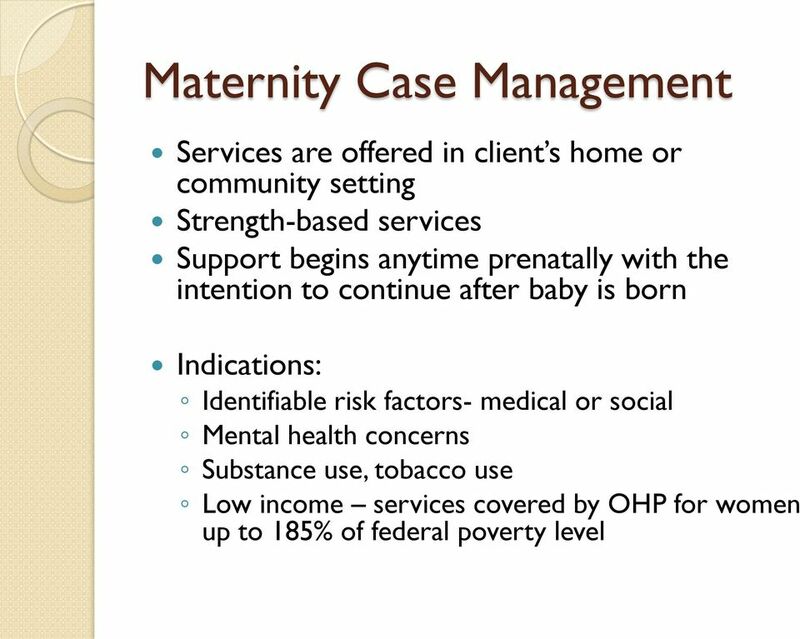 It is estimated that at least 3,000 Dallas County newborns are placed at risk by maternal substance abuse during pregnancy. 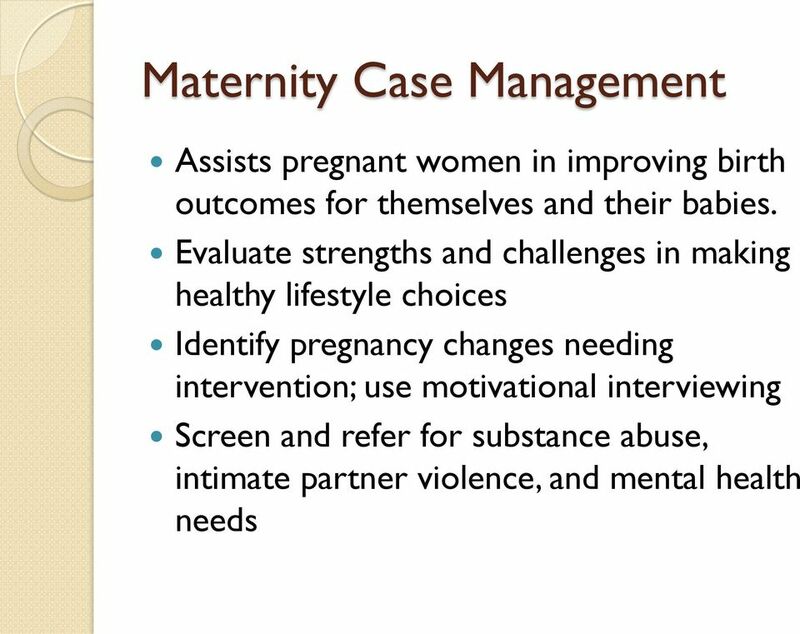 Pregnancy Care Management Standardized Plan Working together to improve the health of mothers and babies. 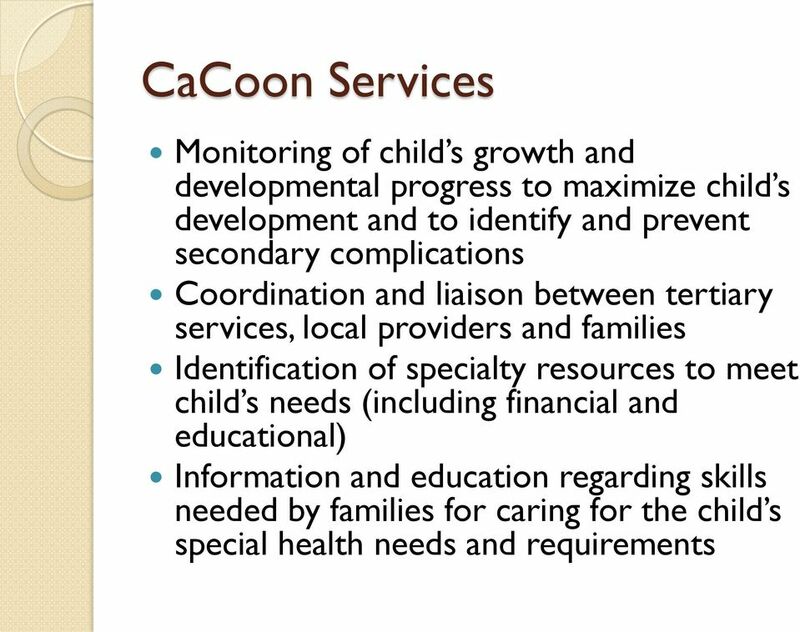 In this document, CHCANYS presents information on select DSRIP projects from Domains 2, 3, and 4. 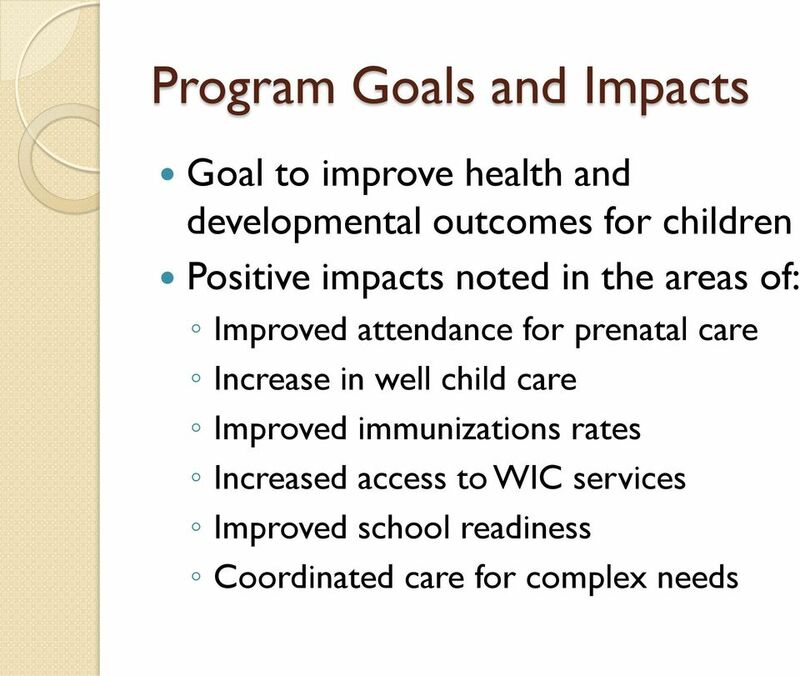 These are projects that FQHCs should or could play a leadership or central role in designing and implementing.